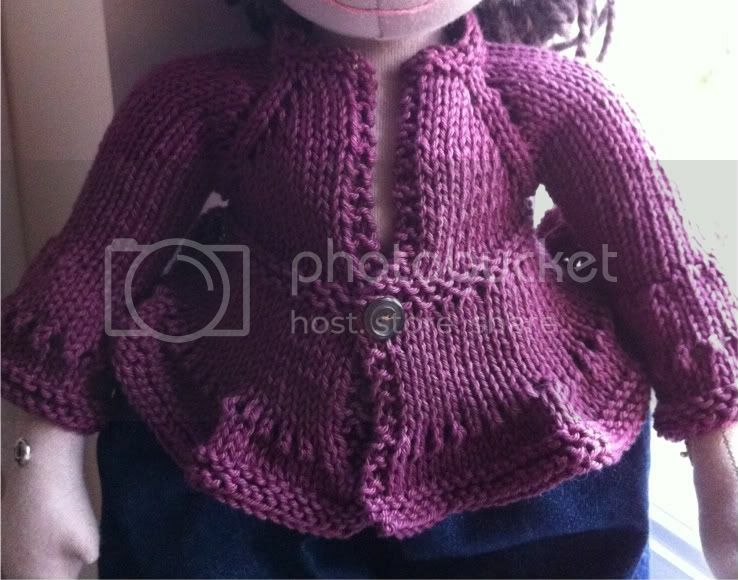 So Mum was looking for doll clothes patterns and I reminded her of one of my very first designs - a cardigan for our MamAmor doll. I hadn't been blogging (or knitting) for long so not many people will have seen the original details, and I'm sharing it again today. At the time, I used the yarn I'd been practicing my crochet with - I'd certainly choose something softer than DK cotton now, but I still like the pattern. The cardi is very straightforward and really doesn't take long to knit up - it's easy to alter to fit (you can see some lovely customised versions on the Ravelry page). 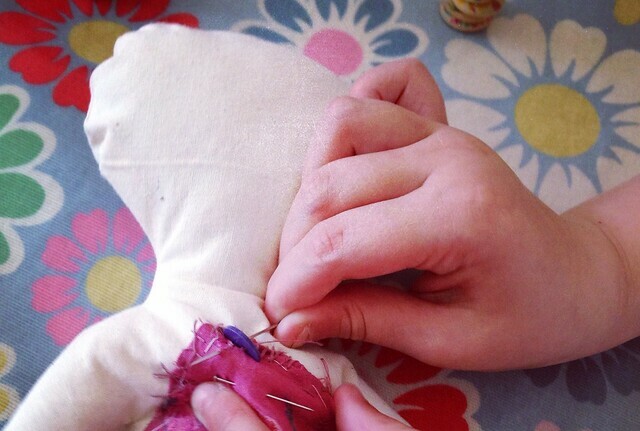 If you know someone with a doll in need of a make-over this summer, you can find the free pattern on the original post here. Happy Knitting! Yikes! How'd I miss this adorable cardigan? Got it faced and pinned. You should design a kid version. What a cute little pattern and so clever to make it easily adaptable to different sizes!